Modern Art | Just Shooting Memories! Maybe someone can help me understand something. 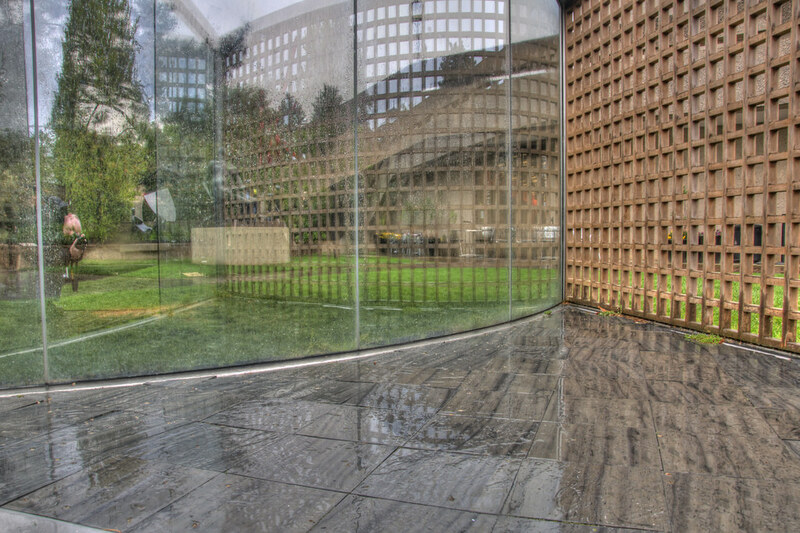 Today’s photo comes from the sunken gallery which is in front of the Modern Art museum in Washington D.C. How can a glass wall and concrete lattice work equal modern art? Maybe my mind is not open enough. However, I think I will just attempt to make some modern art of my own using another person’s art. I do not recall the artist who crafted this piece, so if anyone can help me out, I would love to give proper credit. I really enjoyed this shot. Not too many people were exploring this gallery. I never let a little rain stop me though.